Buying a House Members are what makes the difference to Credit Unions. Buying a home is exciting but nerve-racking because this will probably be the most important, and expensive, purchase you will ever make. Understanding the process will help you avoid problems and rely less on luck to make the right decisions. It takes time to find and buy a home so dont try to rush it or you may be caught out! You are renting in an area where home prices are expensive. If you owe $80,000 on your home loan at 7% and are paying it back over 30 years at $532 a month, paying an extra $88 each calendar month ($20 a week) will slash the term to 20 years and save $43,000 interest. Once the term of the loan has dropped to five years there may be better ways to invest surplus cash, such as superannuation, trusts, term deposits or shares. Choose a property but dont fall in love with it yet! These days there are almost as many loans to choose from as there are homes to buy, so finding the right one for your needs can be confusing. Many borrowers mistakenly believe that the best mortgage is the one with the most added features, such as credit cards and offset accounts. Traditionally, this type of mortgage will have a slightly higher interest rate or set-up charge, so if you dont really need those features, why pay for them? The key to finding the "best" mortgage is defining your own needs to determine the type of loan you should be looking for - finding it is the easy part. 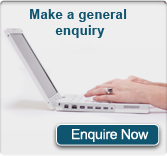 Do you want the flexibility to make additional repayments or pay out your loan early? Would you prefer the predictability of fixed loan repayments? Would you like a redraw facility? Will you be making weekly, fortnightly or monthly repayments? How much deposit do you have? Will you need mortgage insurance? Can you use an existing property as security for a home-equity loan? Fixed rate interest rate A loan where the interest rate and repayments are set for a pre-arranged term. Generally at the end of this period your loan will revert to the standard variable rate applicable at the time, but we do allow members to 're-fix' their motgage if they so wish. Standard variable interest rate A loan where your repayments may rise or fall at the discretion of the lender, often in line with official interest rate changes. May include special features such as a redraw facility. Basic variable interest rate As above, but without extra features, and usually a discounted interest rate applies. Honeymoon rate A loan offering an attractive introductory interest rate for a fixed period, usually twelve months. Find out what interest rate your loan reverts to when the honeymoon is over and if any restrictions apply during the honeymoon. Before you can calculate how much you can afford to pay for your home, you first need to work out the total cost of the purchase. As a general rule, the total cost of purchase is around five per cent of the price of the home, and includes legal and government charges, loan establishment and administration fees and mortgage insurance if you are borrowing more than 80 per cent of the propertys value. Stamp duty is calculated as a percentage of the purchase price, so the more expensive the home, the higher the total purchase cost will be. Capacity can you afford to repay the loan? Character are you a good financial risk? Do you have a history of repaying your debts? Collateral is the property you are buying adequate security for the money you are borrowing? Capital what you already own. the less likely you are to incur mortgage insurance premiums. Mortgage insurance protects the lender against losses incurred if you default on your loan. Mortgage insurance is usually charged when the loan to value ration (LVR) is greater than 80 per cent, i.e. when you are borrowing more than 80 per cent of the value of the home. Income protection insurance offers optional cover for the borrower. Policies are tailored to meet your specific needs and are designed to meet your mortgage repayments if you are unable to, for example if you lose your job or are ill for an extended period. If possible, start researching loans and property prices a year before you want to buy. Does the area and community suit my lifestyle? Does it have easy access to facilities such as schools, transport, workplace, shops, parks and recreational facilities? Does it have the outlook I want? i.e. water, trees, a city view or a sunny garden? If the answer to these questions is yes then consider proceeding with legal and structural checks of the property. If not, tell the agent what it is you dislike about the property so they can steer you towards more suitable homes next time. Like most other markets, the property market has its ups and downs. If you know when and why property prices are on the move you will have a better idea of when is the best time to buy your home. When inflation is high or rising as prices are likely to increase faster. Tip: Look for properties that have been passed in at auction. This means that bidding did not reach the vendors minimum (reserve) price for the property. You may be able to negotiate down on price and avoid an auction bidding war. Ask any real estate agent what most buyers are looking for in a home and the answer you will hear is: location, location, location. The best way to find a home in your ideal location is to draw up a list of facilities and features that meet your needs. Are property prices rising or falling in the area? Hint: Check property price trends in the area with the Real Estate Institute of Australia. Are there negative factors such as jails, factories, sewerage works, proposed major construction, new road developments? Hint: Call the local council for more information and recent sale prices of homes in the same street. Hint: Investigate flight paths, railways, busy streets and intersections, fire or ambulance stations, bars and sportsgrounds in the vicinity. Visit the property at different times of day and night and ask neighbours if they are bothered by noise in the area. There are no warranties for home buyers so to protect yourself have the property checked out before you finalise the purchase. Get specialist advice from a legal consultant or conveyancing service and a building consultant before you sign any contracts. Store this information in a fireproof container or safety deposit box - it will make it easier to resell you home later on. Hint: To keep legal costs to a minimum, get property inspections done before proceeding past the first basic legal steps. New properties and properties that have been renovated recently are just as likely to have serious problems as old homes so dont skip the property inspection. A building consultant can detect incomplete or defective work on new homes and locate relevant documents verifying council approval and quality of workmanship. details of any warranties and guarantees for equipment and materials used in the home, including appliances. Surveyors reports, if you are unsure about the ownership of a unit, garage, car space or store room.